‘I actually feel quite profoundly changed and cannot wait to continue – it feels like the course has enabled me to take control of some issues that I have struggled with for decades’ – People-Pleasing Course student. 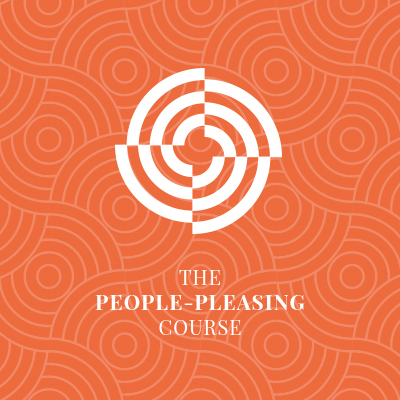 The People-Pleasing Course addresses people-pleasing, sense of self, identity and perfectionism. It’s designed to strengthen your voice and equip you in growing in confidence. A people-pleaser must put everyone first at all times regardless of the cost. They are thoughtful and sensitive to others, needing to ensure everyone else is happy. Friends and colleagues go to them for help, because they go above and beyond. However, the people-pleaser finds it hard to ask for help from others, as they don’t want to burden them. A people-pleaser’s overriding fear is that he or she would hurt, upset or anger someone, so they apologise bountifully, often for things that aren’t their fault. A people-pleaser’s diary is littered with things they have said ‘yes’ to regardless of whether he or she wants to do them, because they hate to let people down. A people-pleaser has a knot in their stomach made up of all the unspoken hurt, embarrassment and pain that they don’t speak about. They are kind to everyone, but not that kind to them self. Everyone says they are lovely, and they are. But if they said it to their face, it would be brushed off. They wouldn’t believe it, because they don’t see it. They are tired of being a people-pleaser, but they don’t know how else to be. If this resonates in any way, then I’ve written this course for you. I’m Anna, a Psychotherapist with over 8 years experience of working with women and a huge passion for empowering fellow people-pleasers. I run an Instagram page called @annamathur where I chat about mental health. I was the people-pleaser for most of my life until I got sick of being in a cycle of burning out. I repeatedly gave too much of myself away, leaving little left to keep me going. I knew I didn’t want to spend the rest of my life living in a way that was so damaging to my sense of worth and identity. I started a process of addressing this, and as a result, I feel more ‘me’ than I ever have. I have interwoven my Psychological insight and experience as a therapist, along with my personal learning, so that I can gently challenge you on a habit of a lifetime. I haven’t designed this course to knock the nice out of you, oh no! Nor will you suddenly transform into an overwhelming, loudmouth having discovered your newfound confidence. 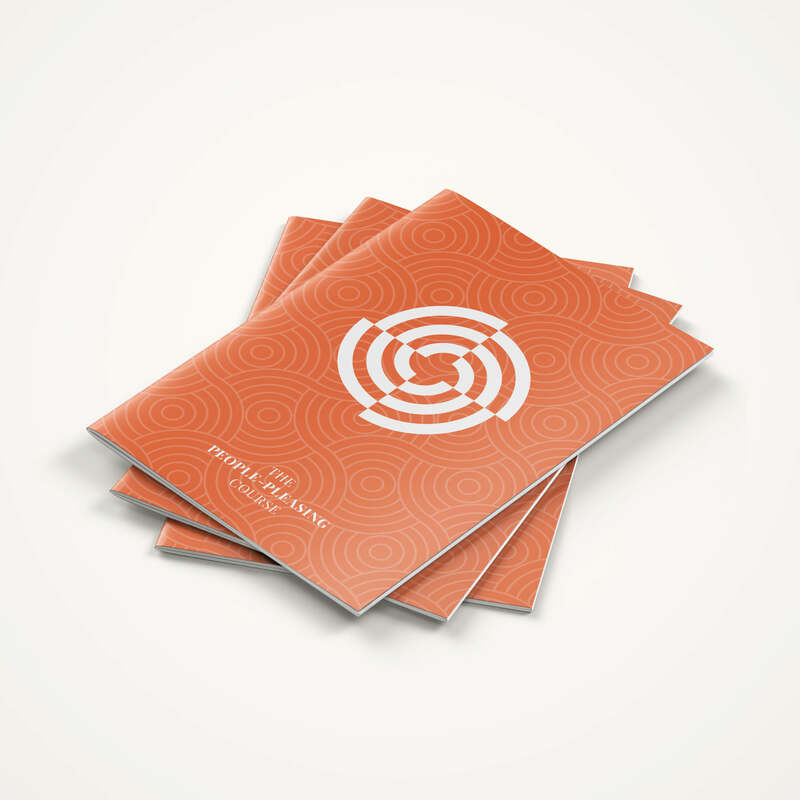 It’s designed to address people-pleasing and increase sense of self and identity. It’s designed to strengthen your voice and encourage you to recognise that it has value, as do you. 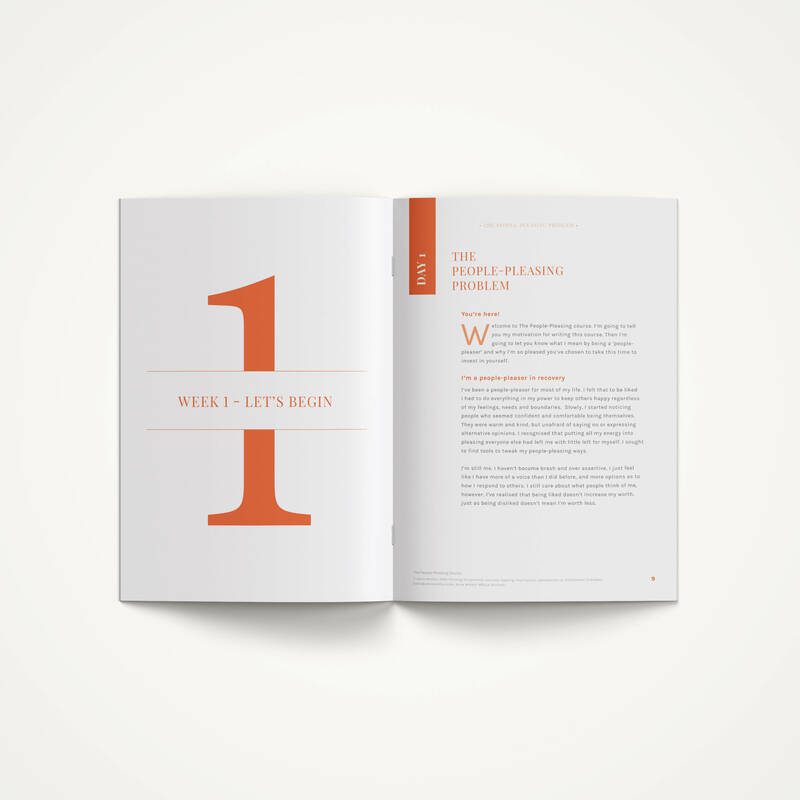 You will read one session every two days and on the remaining days you’ll be given some guided journal points. You don’t need to feel like you’ve conquered each session, but make sure that you’ve given enough time to each element of the session before you hop to the next one. The more you engage in each element of the course, the more you will experience the benefits. It opened my eyes to the fact that I deserve to do this work on myself because I am worth the investment! I absolutely loved journalling – I was amazed at the clarity that this brought with it and is something I intend to keep up. To be honest, I don’t think I could pick a favourite week as each one hit the mark so profoundly! The nice girl course was interesting, enjoyable and challenging, it has enabled me to become kinder towards myself leading to improvements in my sense of self worth and self esteem. My husband has noticed such a difference in me that he commented it might have been the best £ we ever spent! I expected it to be helpful as I felt I really fitted the ‘nice girl’ bill but each week was a revelation and I can already feel it impacting my relationships with my partner, children, wider family and friends for the better. 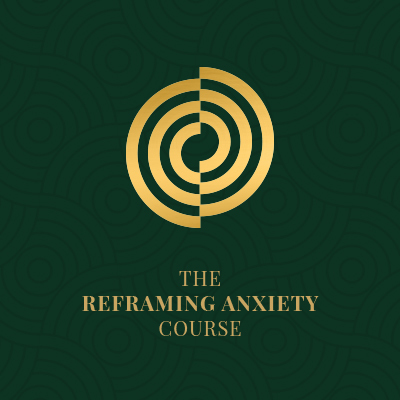 I actually feel quite profoundly changed and cannot wait to continue – it feels like the course has enabled me to take control of some issues that I have struggled with for decades. Thank you so much for giving me the tools to take back control of my life!